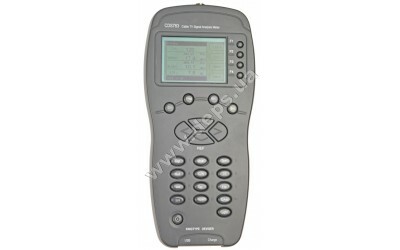 KingType CDS783AQ – is a multifunctional measuring device for the CATV operators that allows performing all complex of measurements necessary for adjustment and operation of CATV networks. 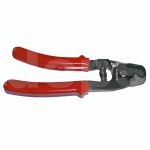 This device has an advantageous combination of a "compact" housing design characteristic of portable devices and functionality typical of the higher level devices. 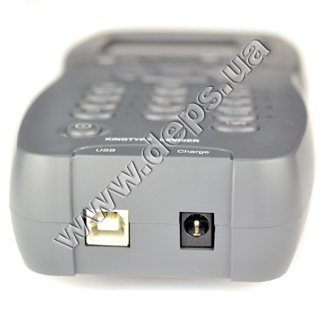 KingType CDS783AQ device was created specially for operators of the modern multiservice networks. 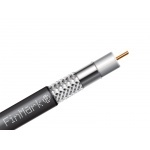 It allows to work with the DVB-C analog and digital television signals (QAM modulation) and also to measure the direct channel parameters under the DOCSIS standard (QAM modulation). 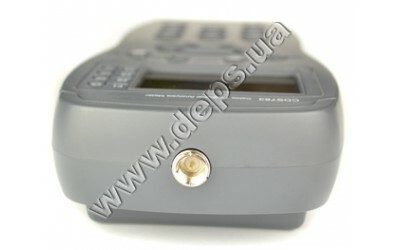 The device allows to measure the digital signals radio-frequency parameters (in particular: C/N, SNR, MER, Pre-BER, Post-BER), analyze digital streams (formation of constellation charts and spectrum analysis performance) and to monitor digital channel quality, including that in the return channel range of interactive cable networks. 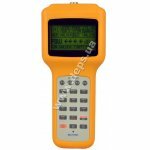 Multifunctional, backlit, the liquid-crystal display of the device is capable to display simultaneously all information, concerning any given measurement - both alphanumeric and graphic. When measuring the analog television signals, signal level of the carrying video and audio (in dB/mkV) or level of the carrying video and signal-to-noise ratio (in dB) is displayed. 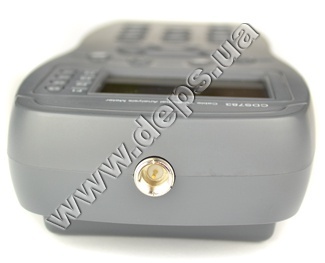 Therefore, the signal level and quality estimation is performed simultaneously. 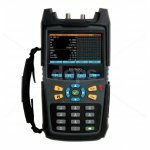 CDS783AQ also measures radio-frequency parameters of digital signals: digital signal power and signal-to-noise ratio (S/N) and also error rate (BER, MER). In a scanning mode the device automatically checks the signal presence in all television channels of the selected frequency plan. The result of scanning is displayed in the form of a chart: each signal has a corresponding mark which height is proportional to the signal level. A spectrum analyzer mode helps to determine the noise and interference sources both in direct and return channel. This function can be useful, for example, when searching for the noise sources in the return channel. 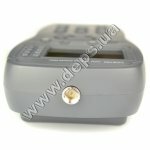 Quite often, the input connector is the cause of failure for the devices frequently used in the field: it deteriorates quickly. 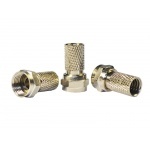 That is why the CDS783AQ input connector is made of two parts: the device part of F-"male" type and the replaceable adapter F-F "female-female". The cheap adapter is the one that wears out and can be replaced in a matter of seconds. The device part remains and has a long-term service. The device can be energized both from the built-in accumulator batteries and by means of network adapter. The device is completed with a convenient cover for carrying. 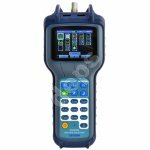 Device provides full range of measurements required for setting up and operation of analog and digital CATV networks.